Star Wars the force awakens makes Jurassic world extinct ! 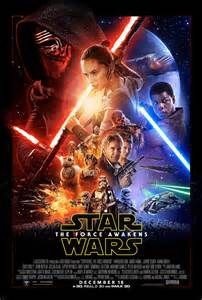 Star Wars broke the opening weekend box office record that was previously held by this year’s Dino flick by universal, jusrasic world. 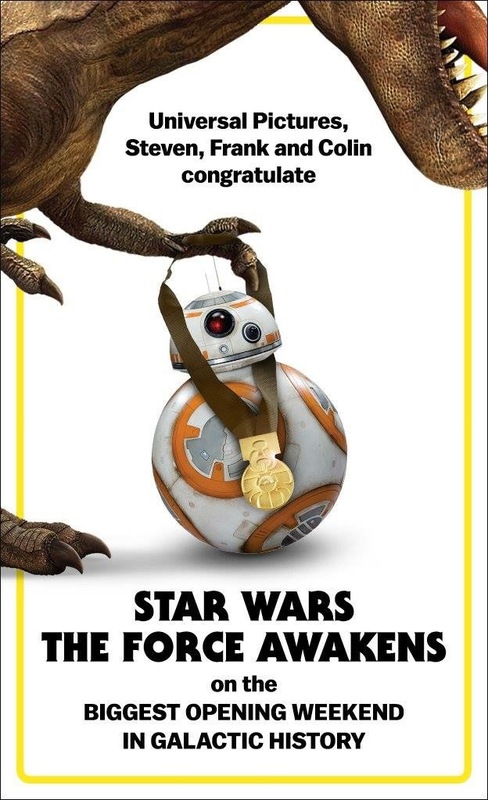 World held the record at 208 million and Star Wars hit 238 million smashing the old record. Universal was a good sport and posted this pic ! This entry was posted in movie ratings and tagged dosney, highest box office record beat, jurasssic world, star wars, star wars beats jurrasic world, star wars episode vii, star wars sets opening weekend box office record, The Force Awakens. Bookmark the permalink. ← Alien Covenant has its lead. That is to be expected, However I doubt that Star Wars is any better than the actual film of Jurassic World, that’s what’s important after all. To be anywhere close it would have to come with a free copy of Saturn. I did think Star Wars was worlds better than World. World was just ok and fun at times. Haven’t seen Wars yet, but I will.